We are going to discuss about use of Uninitialized Stack Variable vulnerability. This post will brief you about what is an uninitialized variable, what could be the adverse effect of uninitialized variable vulnerability in your code. We will discuss this by taking example of an Uninitialized Stack Variable vulnerability implemented in HackSys Extreme Vulnerable Driver. We will understand what the problem in the code is, how we can trigger it, and finally, how we can exploit it in Kernel mode to get SYSTEMprivilege. Wikipedia: In computing, an uninitialized variable is a variable that is declared but is not set to a definite known value before it is used. It will have some value, but not a predictable one. As such, it is a programming error and a common source of bugs in software. Let’s look into the source code of the driver and understand where the vulnerability is. You can see in the code that UninitializedStackVariable is declared but not initialized with a concrete value. But that’s not the issue, the issue arises when the code tries to call a call-backUninitializedStackVariable.Callback(), neglecting the fact that UserValue == MagicValue comparison may fail. 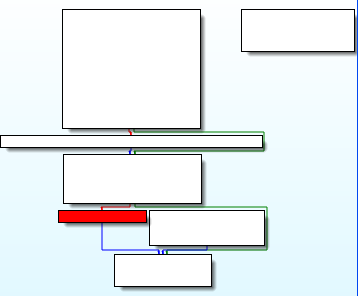 The call graph looks very simple and we can see the call made to an Uninitialized Variable. As UninitializedStackVariable is uninitialized and is a local variable, obviously it’s on the Kernel Stack and it will contain the data placed by the functions which were called previously. Just to be clear, the exploitability of vulnerabilities like Uninitialized Stack Variablecompletely depend on the implementation and how the uninitialized variable is used throughout the application. In the UNINITIALIZED_STACK_VARIABLE structure definition, you can see that Callback is defined as FunctionPointer. This is of great value, in terms of exploitation. If we can control the data on the Kernel stack, we can control UninitializedStackVariable and naturally control Callback. From the evaluation of the source code, we know that if the UserValue == MagicValue comparison fails, then the use of Unitialized Stack Variable vulnerability is triggered. As you can see in the driver source code, the vulnerable code is surrounded by __try/__except block, the target Operating System won’t crash. So, we need to enable Stop On Exception flag usingGFlag. As you can see from WinDbg output, UninitializedStackVariable.Callback: 0x00000400 which does not seems to be a valid Callback routine address. This is a clear indication that we successfully triggered the use of Uninitialized Stack Variable vulnerability. Just to have some more context about the bug, let’s dump the stack and validate if UninitializedStackVariable is on the stack. If we can control what’s placed at 0x8a6cc9cc, we can control the Instruction Pointer. We will perform exploitation in multiple stages. Kernel Stack Init can be found using !thread command. Trigger the bug again and run the command in WinDbg. So, Kernel Stack Init = 0x9a4bfed0 and &UninitializedStackVariable.Callback = 0x9a4bf9cc. Hence, Offset = 0x504. You can confirm if the offset remains same by comparing the offset between multiple runs. Now, if we can put attacker controlled data at an offset of 0x504 from Stack Init, we can hijack theInstruction Pointer. Now the challenge is to spray the Kernel Stack with attacker controlled data from User Mode. How can we put user controlled data on Kernel Stack from User Mode? Well, to achieve this, we need to find an interface which takes data from User Mode and copies it to Kernel Mode Stack and does not clobber it much. HackSys Extreme Vulnerable Driver already has two such interfaces, namedTriggerStackOverflow and TriggerStackOverflowGS. However, you can find similar interfaces in Windows Operating System too. One such interface was disclosed by j00ru. His post on nt!NtMapUserPhysicalPages and Kernel Stack-Spraying Techniques gives you a clear idea on how we can utilizent!NtMapUserPhysicalPages to spray Kernel Stack from User Mode. We can spray upto 1024*sizeof(ULONG_PTR) using this API and this is exactly what we need to exploit this vulnerability. Let’s update the Proof of Concept to spray the Kernel Stack with 0x41414141 and see if we control the right offset. Let put a break point on the last instruction of NtMapUserPhysicalPages routine and run the PoC. Once the breakpoint is hit, we will get Kernel Stack Init address and find that value at an offset of0x504. Now, let’s get the address of the offset we are interested in. Finally, let’s dump the address to see what it holds. Wow! This is so much fun. We now control the value i.e. 0x41414141 at the offset 0x504. At this point, we control the data on the Kernel Stack from User Mode. It is essential to prevent it from getting clobbered by other function calls. To achieve this, we need to prevent any other functions from using the Kernel Stack. Just make sure that you do not perform or call any other function after spraying the Kernel Stack and triggering the vulnerability. Even simple printf statement may clobber the Kernel Stack and exploitation will fail. During Black Hat Asia 2016 – Arsenal, I had kept a challenge to write the exploit for this particular vulnerability (Uninitialized Stack Variable). After two months, I decided to push the exploit to HackSys Extreme Vulnerable Driverrepository on Github as I did not receive any submission. I hope you all liked the post and if you all have any suggestions or feedback, please feel free to reach out to me. I’ll be happy to implement them. This week is full of Black Hat and DefCon fever and on this occasion, I’m hosting another challenge to write the exploit for use of Uninitialized Heap Variable. Please feel free to reach out to me in case you need any help to write the exploit. An elaborated version of this post will be part of my Windows Kernel Exploitation Training Lab Manual. I will also be delivering this training at 44con and BruCon this year. Ashfaq Ansari is working as Sr. Security Researcher at Payatu Technologies where he spends time experimenting and understanding different attack vectors to exploit Windows User Mode as well as Kernel Mode vulnerabilities. He likes fuzzing and a fanboy of machine learning. He is a computer enthusiast and tries to learn new things.